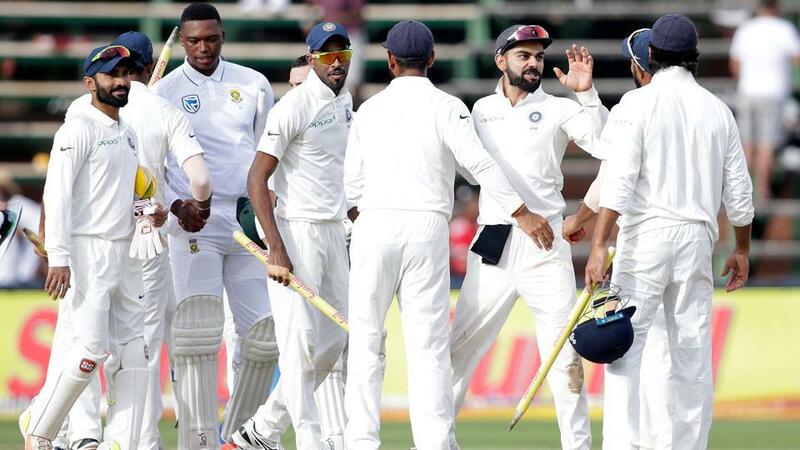 Team India finally did avoid whitewash against South Africa in the Test series. They managed a victory at the end. It was the 3rd Test between South Africa and India where India won by 63 runs at Johannesburg. Through the victory, India came back to the competition by 1 – 2 games. Though, they failed to win the series where team Proteas already secured the series by winning first two Test consecutively. Team India is currently visiting South Africa where they are invited to play a series against team Proteas. The series consists of Test, ODI and T20I matches where they started their competition with the long format cricket. The first Test was staged in 5th January, 2018 where the 2nd Test was staged in 13th January and now, they have played the 3rd and last Test in the series which started in 24th January, 2018. However, it was taken place at Wanderers Stadium, Johannesburg where earlier team India won the toss and decided to bat first considering the old two Tests. Basically, the first batting team used to win the match most of the times which was experienced before. So, India came to open the innings but failed to play complete 1st day at Johannesburg. They faced a batting collapsed there. In 187 runs their first innings was finished where the bowlers played the most vital role. Indian skipper Virat Kohli was the top scorer who scored 54 runs highest. Kagiso Rabada took three wickets highest for India. Later, South Africa started their first innings. They also failed to make long innings but they successfully lead few runs. Their first innings was finished scoring 194 runs in 65.5 overs. Hashim Amla was the top scorer in their innings. He scored 61 runs so far. Jasprit Bumrah took five wickets and destroyed Proteas innings so far. Later, India came to bat for the second innings. This time they played a bit well than the first innings and scored 247 runs in 80.1 overs. Ajinkya Rahane scored 48 runs highest for Indian team. Besides, Morne Morkel took three wickets for SA. So, in front of Proteas there was not biggest score but considering the ground, it seemed very tough for even the local team. They fought hard but finally did not make it. Their target was 240 runs in the 2nd innings. But they failed to chase it. Their 2nd innings finished with 177 runs where Dean Elgar scored highest 86 runs so far. Mohammad Shami took five wickets for Men in Blue.